So you might have seen the 5 minute upper body running workout that was posted a couple of weeks ago? That workout targets your entire upper body: upper back, lower back, chest, arms, and abs. It is also an add on workout that you can tack onto the end of your run like this one. 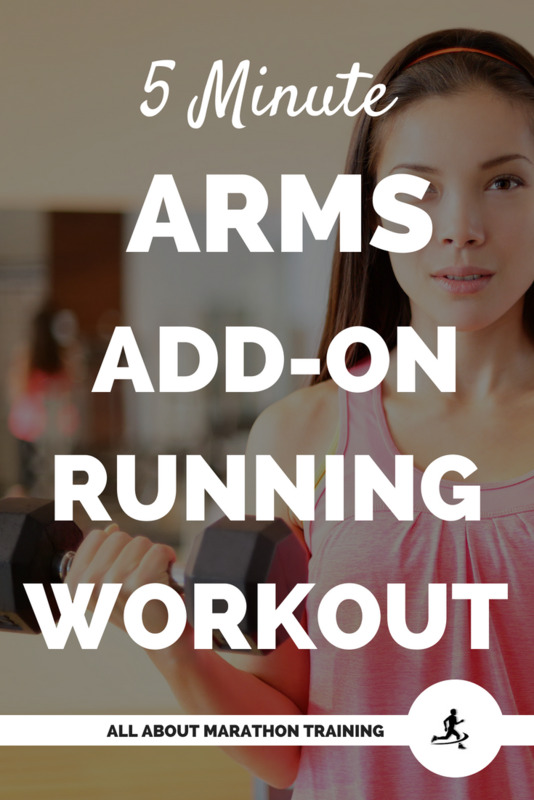 This running workout is going to focus solely on your arms. 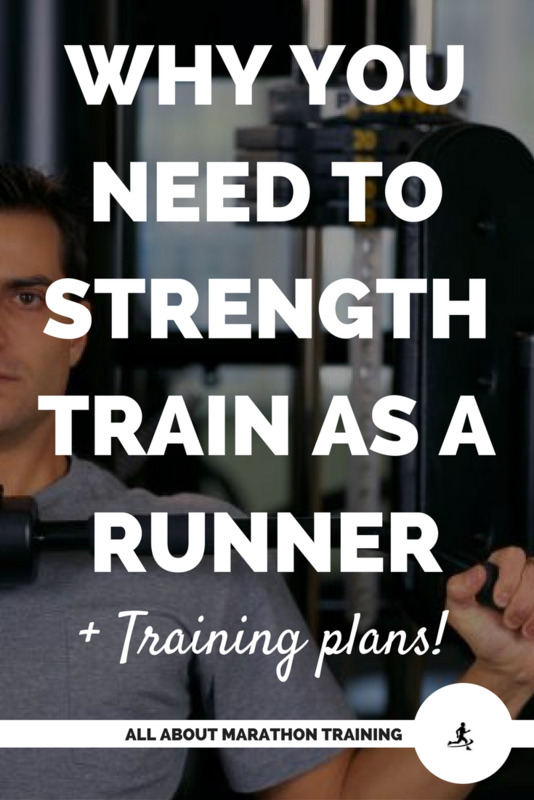 Strengthening your arms has significant benefits for you as a runner. 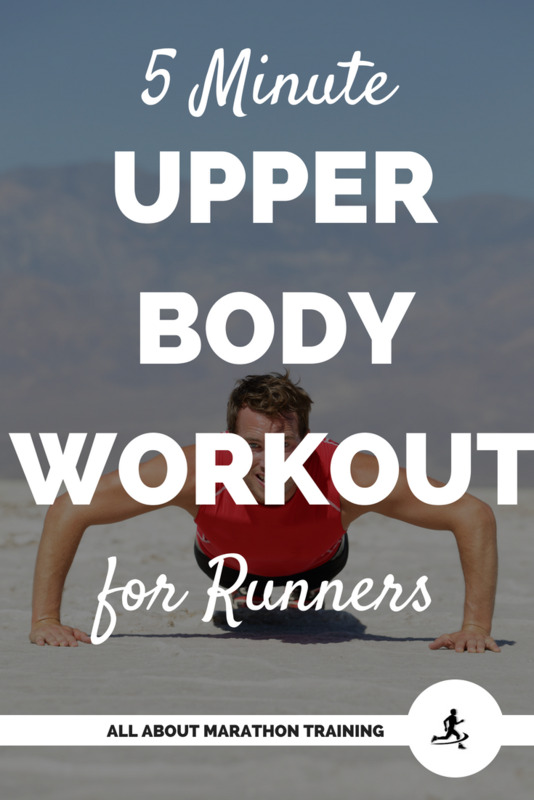 Reduces upper body fatigue and increases your running efficiency. A lot of runners expend energy through their sloppy arm swing instead of conversing it and giving it to their legs. Gives you a better arm swing (technically, when running a marathon or running any longer distance your arm swing should be minimal and controlled. Allows you to keep that control and efficiency in your arm swing. Allows you to have a stronger kick at the finish line! 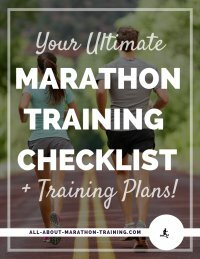 Once you reach the end of your race you actually do want to swing those arms (in a controlled manner) because that momentum will carry through to your legs helping you to accelerate. You cannot keep this pace up for very long which is why it is used by sprinters and at the end of races. If you have never tried strengthening training before, I am here to tell you that it is easy and you will see results quickly! It does not have to be complicated and you will feel the results. Use lighter weights when training your biceps and triceps. These are smaller muscle groups that cannot lift as much as your leg muscles. You can use slightly heavier weights when training your shoulders as they can lift more. You can add on this arms workout after your runs about 3-4 times a week. If you have never used weights or have not for many months then start out by going through the motions. Otherwise, start with where you feel comfortable. For some that might mean using 2 pounds for your biceps and triceps and 5 pounds for your shoulders. Or use 5 pounds for your triceps and 10 pounds for your biceps and shoulders. Just start lighter than what you think and then the next time you do the workout, up the weight if it was too light. Also, you might find that once you hit your third set that you need to lower your weight. That is just fine! You want to challenge yourself but you don’t want to give an all-out effort. 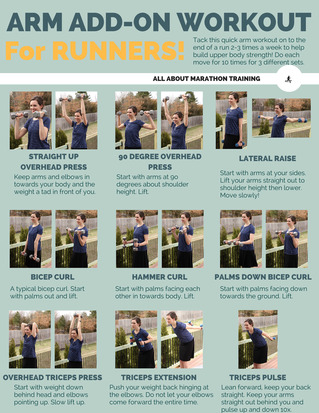 Here is a printable version of this workout to stash in your running stockpile! Try this 100 Rep Workout which you can find over here!